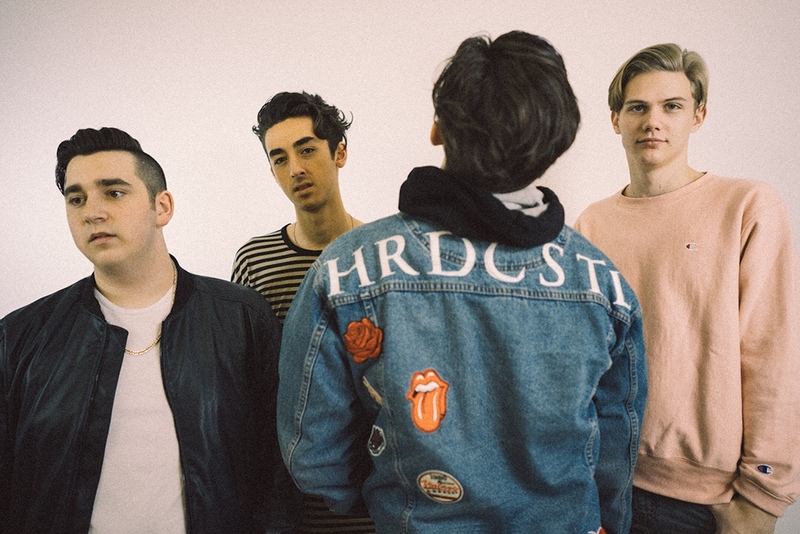 Alternative band and WQHS faves Hardcastle are back at it again with their new release, “Millennial Attraction.” With a opening line that invokes The 1975, one of their biggest inspirations, the song immediately makes the listener want to drop everything and dance. Produced by Hardcastle and Jive, and mixed by Jive and Brian Foraker, who boasts working with legends like Lynyrd Skynyrd and Heart, the track has a strong foundation and comfortably fits in with the Sir Sly and Bad Suns kind of vibe that has become increasingly popular. While on the surface the track may seem like the usual song about teenagers in love, a closer listen reveals that lead singer Graham Laderman is singing about the real problems with modern relationships, whether it be dealing with long distance, or dealing with stress. The ability to craft a song that is able to retain its upbeat sound while talking about a more serious issue is rare, yet Hardcastle have managed to perfect it with their third release. “Millennial Attraction” has been gaining traction (no rhyming pun intended), especially through social media. The track peaked at #7 on the Hype Machine Twitter trending chart, and has been sitting comfortably in the top #10 since. It has also been gaining radio circulation, being picked up by Atlanta’s rock-alternative station 105.7 FM. On the tail of this release, Hardcastle is playing their first headlining show tomorrow at The Loft in Atlanta. In looking at “Millennial Attraction” along with the band’s two other single releases, “Paralyzed” and “No Big Deal,” Hardcastle have established their sound, and have also established themselves as a force to be reckoned with. Even though the band is relatively new, loads of people from all around the world are taking notice of them, and are keeping them at the top of their ones to watch list. Be sure to check out Hardcastle’s music now if you want bragging rights later on.